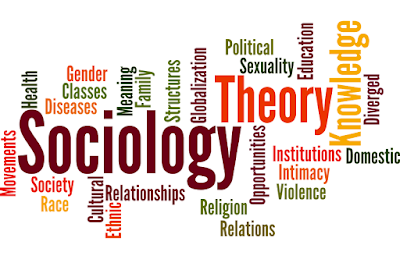 Islamabad high court has given order to the federal board of secondary education to remove the controversial book of sociology that contains some objectionable words regarding baloch people, from the market. In the book, during the description of baloch tribe, the writer used the words of rude and quarrelsome. Jutice Athar Minullah heard the case during which Yasir Chaudry, the counselor of petitioner, Jahagir Aslam appeared in the court. Ali Asghar Malik appeared in front of court on behalf of FBISE. The court after giving the direction to remove all such books has also asked the relevant authority to submit the report within given time. The counsel of FBISE said that the controversial lines have already been removed from the book while the petitioner said that offensive language is been used by the book in describing baloch nation. The petitioner also said that words on page 112 of the books hurt the sentiment of baloch people. The petitioner demanded that book should be withdrawn from the syllabus and it purchase and any kind of sale must be banned. Some months ago, this case was emerged in Punjab where this book was pointed out and protests were launched by the baloch students’ organizations for using such controversial words for the baloch people. After which, the provincial government took the notice and CM Punjab had made a committee for the investigation. Orders were govern to remove the copies of the books as soon as possible. The publisher had himself apologized form baloch people through newspaper apology. The book, however used to teach at intermediate level and federal board also take help from it. The book was still in the syllabus of federal board with the earlier content that’s why, the agitation is seen. The community resentment is justifiable; however, the matter should be finished now. The baloch people and brave and hey helped in the progress of Pakistan. The federal education ministry must check any kind of presence of any kind including any hate material for baloch people or any other country. All educational boards of the country must be bound to send their syllabus and relative books to national curriculum council before introducing in students. Due to different mediums and examination systems, hundreds of books are in the market and mostly written by private publishers. Even now! The provisional text boards are also taking help from private publishing companies and books with their content have been introduced in education system. The curriculum should be federal issue. Although we have made education a provisional issue through 18th amendment but national curriculum preparation should be the job of federal government so that any such mistake could be avoided in future.